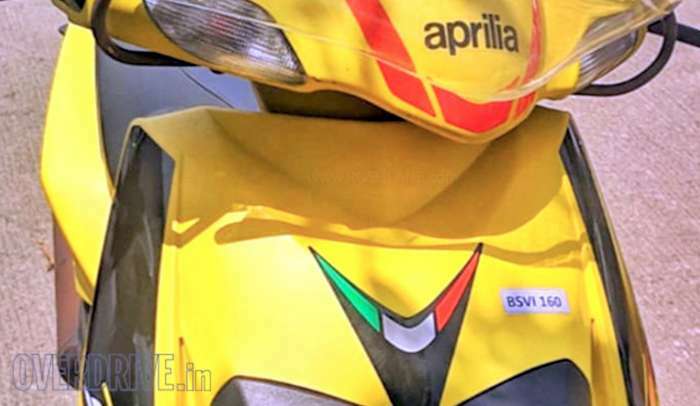 The updated Aprilia SR125 spied on test sported a BS6 sticker on its panel. With BS6 emission norms set to be made mandatory from 1st April 2020, auto makers in the country have started testing the updated engines. The new Aprilia SR125 is also among the bikes being updated with this cleaner and more efficient engine. The same was spied on test recently by folks at Overdrive, displaying the BS6 sticker on its front panel which reads ‘BS VI 160’. This spotting also makes it one of the first scooters in India to be BS VI compliant. The 2019 Aprilia SR125 on test also sported a visor which could be offered as an option. Apart from these changes, there will be no other changes to the SR125. Like the Aprilia SR150, the SR125 is also built on a tubular steel frame. It gets features such as an analog instrument cluster, halogen headlamps, pass light and wide sporty 14” wheels with 120mm section tyres on both ends. It will also continue to be powered by the same 124.9cc, single cylinder, air cooled engine, now tweaked to be BS VI compliant, offering 9.6 PS power at 7,250 rpm and 9.9 Nm torque at 6,250 rpm, making it one of the most powerful and quickest scooters in its segment. Power and mileage figures could be improved, thanks to BS6. It gets no change in suspension either and continues to sport telescopic forks in the front and monoshock at the rear while braking is handled via 220mm front disc brake and 140mm drum brake at the rear. 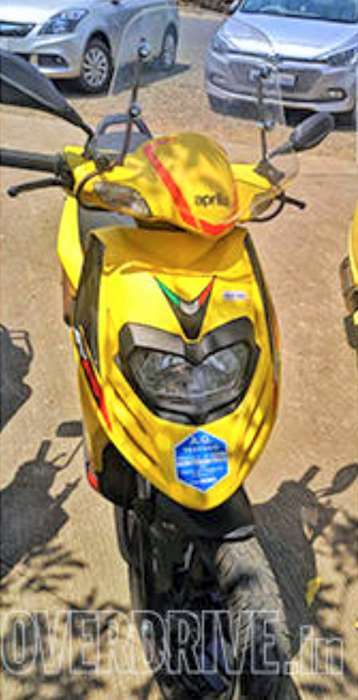 Aprilia SR125 with its updated BS VI engine could see a revision in price and come in at a premium of around Rs 6,000 to Rs 8,000 over the existing model. Price of the current SR125 with CBS is at Rs.72,667. It will continue to rival against the likes of Vespa, TVS Ntorq 125, Honda Grazia and Suzuki Burgman Street. Along with the updated Aprilia SR125, the company will also be launching the Storm 125 in India. Aprilia Storm 125 was showcased at the 2018 Auto Expo. It was seen with several cosmetic changes over the SR125. It gets matte color options, new body graphics and 12” dual purpose tyres.